"In many ways, hospitals, like court rooms, are the venue of those teetering on the edge." This book was first published privately for family and friends back in 1991. Why did you decide to publish it for the general public now? SG: I must be feeling braver in my old age. These stories are very personal, exploring emotional wounds that have long since healed. I thought others might benefit from seeing the troubles I survived and knowing it’s possible to work through painful family issues. None of us get to choose our parents, nor do we have any say in the matter of what happens to us early on in life. The only power we have is to turn our misfortunes to our own advantage instead of allowing ourselves to be defined by them. KINSEY & ME is divided into two sections: the first section features Kinsey Millhone and the second a character called Kit Blue. Why did you put these two different sets of stories together? SG: I wanted readers to see the curious juxtaposition of my public and my private selves. Kinsey Millhone is an invented version of me. Kit Blue is the ‘self’ I was fifty years ago. 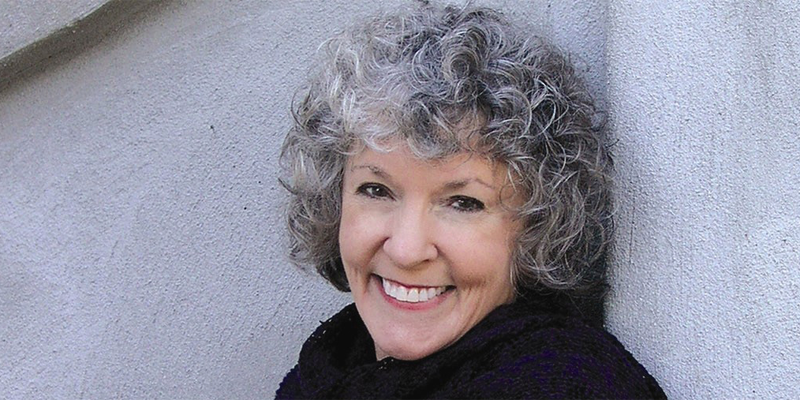 Sue Grafton is someone else altogether, an integrated version of the two. Can you tell us about Kinsey: What are her origins and where was she first published? What do you think readers will learn about Kinsey from this book that they didn’t know before? What is your relationship with her like on a day-to-day basis? SG: I cover much of this ground in the introduction to the portion of the collection devoted to her professional life. I’m not sure readers will learn anything startling or new about her from the stories. For me, it’s always interesting to see how she’ll react to a given set of circumstances. I like to watch her mind at work. I’m always curious how she’ll analyze a situation and discover the answers to the questions posed. Most revelations about her are embedded in the novels themselves; things I learn about her in the process of writing. Kinsey Millhone rules my life, which she also owns by the way. Everything I do seems to be related to her from the research for each book to the writing itself and certainly for the promotional trips I make once a book comes out. Because of her I’ve ‘met’ and befriended countless readers all across this country and extending halfway around the world. I’m only sitting here responding to these questions because of Kinsey’s presence. I’d claim I was channeling her if I believed in such things. Kit Blue is semi-autobiographical. Both of your parents were alcoholics, who more or less left you to raise yourself from the age of five onward. When did you create this character and was it difficult for you to write so frankly about such a profoundly personal subject through these stories and share them with the world? SG: Writing these stories was incredibly painful, but the process allowed me to observe, explore, and make my peace with circumstances over which I had no control. I think facing the past and acknowledging the rage and the distress is what helps us move on. Repressing pain and anger only forces those emotions to go underground. We end up ‘acting out’...recreating the old dramas in endless repetitions hoping to make it come out right...which it never does, by the way. We need to learn the lessons life is teaching us and that’s true of the present as well as the past. As you wrote them, did you imagine that the Kit Blue stories they might be helpful to others growing up in a home with alcoholism or substance abuse issues? SG: That suggests a certain saintly motivation on my part which I really can’t lay claim to. I wrote these stories as part of a private grieving process. Catharsis if you want to use the fancy word. If others can identify with what I went through and if others can understand how I prevailed, then another form of good might come through. I cherish my upbringing, as difficult as it was. I would even go so far as to say the gifts I receive were equal in weight and value to the tears I shed. Although Kinsey’s aims are always honorable, her methods are often unorthodox, and at times even illegal. Deception is sometimes a vital tool in cracking her cases. And frequently justice is served in other ways than through the justice system. Why do you think these traits are so appealing to so many people, and how do they speak to the reality of our times? SG: While I’m an avid supporter of law and order and while I believe whole-heartedly in the justice system, it is also true that crime and criminals thrive as never before. I’m sometimes frustrated by the fact that the guilty go free and the victim’s losses are never repaid in kind. In the world Kinsey lives in, right usually prevails often with an able assist from her. Kit Blue loves hospitals, and like her you went on to work in one. Why do you and she share this love? SG: In many ways, hospitals, like court rooms, are the venue of those teetering on the edge. There’s a certain intensity that pervades such a setting. I’d place war in the same category. People in crisis are always interesting to me. Illness is a test our character calling on our untapped resources as we cope with stress and uncertainty. References to your novels have turned up in a number of recent pop cultural phenomena, such as The Office, The Sopranos, and Stieg Larsson’s novel The Girl with the Dragon Tattoo. What’s your reaction to that? Do you find it amusing? I find it incredibly flattering to be acknowledged in other works of fiction. I’m also apparently a favorite of the cross-word puzzle folks who love the one letter fill-ins I provide. I’ve heard that my novels occupy an entire category in the game show Jeopardy. You are now up to “W” in your Kinsey Millhone alphabet series of novels. Can you tell us anything about it? When can we expect to read it? I’m currently at the 2/3 mark of ‘W’ IS FOR...No title yet, though I think I know what it is. A couple of days ago, to amuse myself, I went back and looked at the computer journals I kept during the writing of ‘G’ IS FOR GUMSHOE. Back then, I worked from four journals: 121 pages of notes, which included research, my questions to myself about character development, the structure and nature of the novel in progress, and a day-by-day account of where I was in the book. The manuscript itself came in at 349 pages. With W, I’m currently in journal number 8. So far I have 953 single-spaced pages of notes, again, covering character development and the narrative line as its emerging. These journals are incredibly repetitive. I’ll have the same startling insight every fifteen pages or so, stumbling across an amazing new idea I’ve only discovered six or eight times to that point. I know every writer has a different way of working, but do you think this is normal?